With class leading performance specifications, feature rich advanced analysis features, next generation UI, and up to a 35% price advantage the DS7000 is without question the World's most powerful and affordable mid-range oscilloscope. We encourage you to compare the 7000 Series with the competitive Tektronix and Keysight solutions. The RIGOL DS7054 delivers superior rise-time performance than the MDO3054 due to superior sampling and bandwidth headroom. See the benefits of 10GSa/sec sampling and long record length in comparison to the MDO3000. Avoid undersampling and signal distortion. 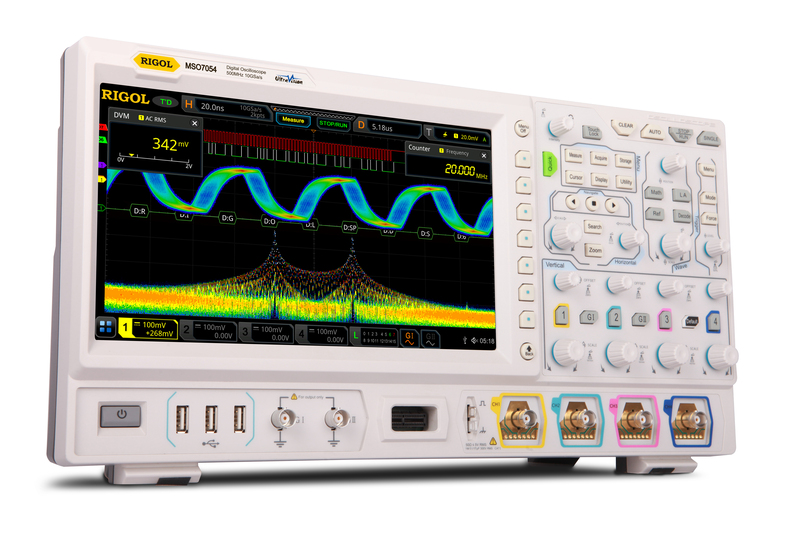 RIGOL's 7000 Series Oscilloscope delivers accurate deep memory measurements in real time. Due to insufficient sampling the Tektronix MDO3000 cannot make these measurements accurately. Triggering on Serial Events and Decoding serial traffic is a critical capability for modern mainstream oscilloscopes. Compare the RIGOL MSO7000 capabilities to the Tektronix MDO3000. Users need tools like zoom, event tables and searh/mark capabilities to navigate long record lengths. Compare the RIGOL 7000 Series ability to identify signals of interest versus the Tektronix MDO3000. Looking at digital timing is a critical piece of embedded system debug. Compare the RIGOL MSO7000 capabilities to the Tektronix MDO3000.